The final day of the Longines Global Champions Tour of London kicked off under beautiful blue skies set with the spectacular backdrop of the Royal Hospital Chelsea, watching over the penultimate competition. Shane Breen(IRL) rose to the occasion taking a sensational speed class win on board CSF Vendi Cruz finishing over a second faster than the rest of the international field. Uliano Vezzani put together a simple but technical 1.45m track, daring horses and riders against the clock in a sizzling showdown. A total of 29 starters came forward for this showcase of speed. The course caused the notoriously fast Guy Williams (GBR) to retire whilst others rolled poles as they took chances against the time. Robert Whitaker (GBR) was first to go and produced a great clear round on Chaplini. However, second in to the arena, Piergiorgio Bucci (ITA) with Cochello took an early lead by jumping a very clean and fast round in 64.43 seconds. No one could seem to beat Bucci’s time, six more clears were achieved but neither William Funnell (GBR), Niels Bruynseels (BEL) or Lorenzo De Luca (ITA) could mange to cut enough corners to take over first place. 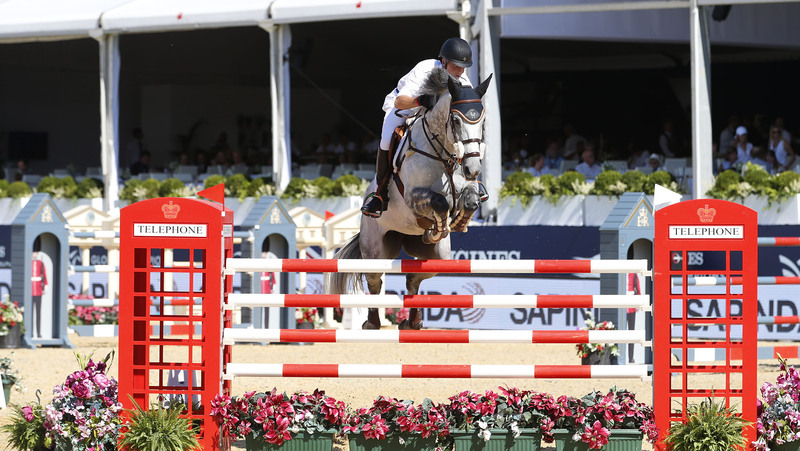 While France’s Julien Epaillard and Sephora Sonzeenne produced the fasted round of the class (61.42 second) they knocked down two fences causing them to be relegated right down towards the bottom end of the leaderboard. Emily Moffitt (GBR) set off at a cracking pace and appeared to be hungry for the win, unfortunately she finished the round having had to rails down as well with Copain du Perchet CH. Young talent Harry Charles (GBR) then proved how he really will be one to watch in the future as he shaved over a second off the Italian’s time with Victor to put him comfortably into first place. Harry’s reign on top did not last for long as super speedy Shane Breen (IRL) took over the win two horses later on CSF Vendi Cruz, shaving almost a second off the young British rider’s time. So it would be another win for Breen who claimed the lion’s share of the prize purse with Charles in second and Bucci rounding out the top three.